Elizabeth (Liz) Titus is a problem solver. Her clients in the energy and natural resource industries rely on her to provide frank advice and find solutions to their most difficult problems. Liz’s practice focuses on the extractive industries, particularly oil and gas (upstream and midstream) and mining. Liz combines her “fixer” mentality with keen industry know-how to help her clients achieve business success. Liz supports clients with projects and operations on both private and public lands. She negotiates commercial agreements with purchasers, land owners, royalty holders, and other business partners. She is also experienced in acquisitions and divestments. Liz is a trained litigator and has trial court, appellate, and administrative hearing experience. 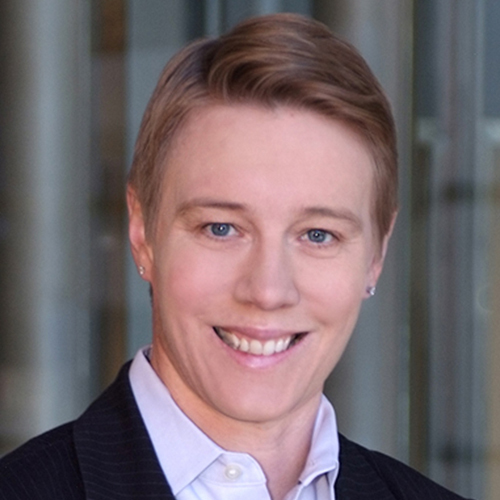 She has represented clients in both state and federal court in commercial disputes and class actions. Her disputes work has covered the processing, sale, and transportation of oil, natural gas, and related products; rights to surface use; and payment of royalties. Liz has represented clients in regulatory enforcement actions before the Interior Board of Land Appeals (IBLA), the Federal Mine Safety and Health Review Commission (FMSHRC), and the Occupational Safety and Health Review Commission (OSHRC). Liz’s clients are subject to extensive federal, state, and often local regulation; she helps them comply at all levels of government.